There's no denying that opening a new business can come with its own stressors. Whether it's your first time in the game, or you've been opening business locations for years, it's safe to say that with everything to be done, you will be under more pressure than normal. The question isn't whether or not there will be stressful moments, but rather, how you handle them. No matter how overwhelming a day might feel, do your best to stay calm and accomplish as much as possible. That way you can get everything done correctly, and to the best of your abilities. In the meantime, there are plenty of ways you can help ease your mind. So that even when frantic situations arise, you're able to stay relaxed and efficient throughout the entire opening. It's not a lie – everything is fine. You will get everything figured out. The best way to go about that, however, is to not panic when this get busy. Practice calming yourself down. The better you're able to master this technique, the more natural it will become. Soon you will be staying calm all on your own, without even having to think about it. Feelings are going to get pent up. That's part of being stressed. Rather than letting that sense of doom take over, take to physical exertion. Go for a walk, take a short jog, head to a yoga class – these workout sessions don't have to be long, they just have to help burn off some stress energy and pump up the endorphins. Besides, if you opt for a leisurely walk, you can make a phone call at the same time! Yes, it's a real thing. If you're feeling like the world is on your shoulders lately, you might be due for a tune up at the chiropractor. Or from your masseuse. Most don't realize just how much of our mood sits within our bones. Get your muscles to chill out, and your body will soon be able to do the same. In the beginning especially, it will be difficult to stop working for the day. However, it's also necessary. Without some serious down time and parts of the day where you can relax (and at least try not to think about work), you can easily become burned out. Set time for breaks and force yourself to stay away from work during evenings and nights – your mental health will benefit greatly. You might be the one with all the answers, but it doesn't mean you have to be the one to actually follow through with everything. Don't be afraid to hand off jobs and get others involved. It's a step that's incredibly simple, yet so often ignored. Don't be afraid to ask for help, and to utilize those that are there to work in your favor. Are you walking constantly? Be sure you're in clothes that breathe and shoes that support. What about sitting at a desk? You should opt for an ergonomic environment that works with your body, not against it. Checking that these basic needs are met will provide mental peace (even if you don't realize it), while eliminating any distractions from being uncomfortable. It's deeply satisfying to set and complete a list . But it's even more satisfying to achieve a goal – something you want to reach, but have to work in order to do so. (In contrast, a list might just be a few tasks written down.) 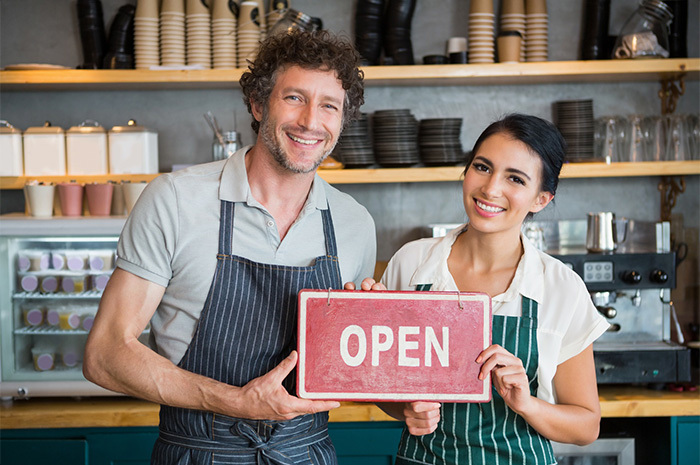 To get you through your franchise opening, set a series of goals – each can lead up to a new and even loftier goal – and can help mark off "musts" in the process. When we are extremely busy or stressed, basic needs can easily become magnified. If you're hungry, you might become angry or irritable once under the gun. The same can be said of being tired. Rather than risking to become your own enemy, take care of yourself first. Eat when you're hungry, stay hydrated, use the restroom, get plenty of sleep, etc. This is a very easy way to stay healthy, and it can help eliminate triggers once tasks start to take over.